Kerinci honey is supplied by 600 farmers in the Kerinci Valley, a fertile land of rich volcanic soil with over 300,000 people and is known as the "rice bowl". The Kerinci Valley is surrounded by the Mount Kerinci volcano of the Kerinci Highlands, and the largest National Park in Sumatra, the Kerinci Seblat National Park. This park is an area of 5,235 square miles of rainforest, volcanoes, mountains, wetlands and rivers; of which provide substantial benefits to agriculture that is highly relied on for income by the community. 7 million people and 10 million hectares of agriculture land rely on water that is sourced in the forested mountains. This area is also a UNESCO World Heritage site, with more tigers that in all of Nepal, Vietnam, Cambodia, Laos, and China combined. The conservation group directed by the local conservationists who started with a small group of farmers several years ago who at the time produced 20 bags and had to travel up to 3 hours to access a hulling machine, and processing their cherries in large plastic tubs. 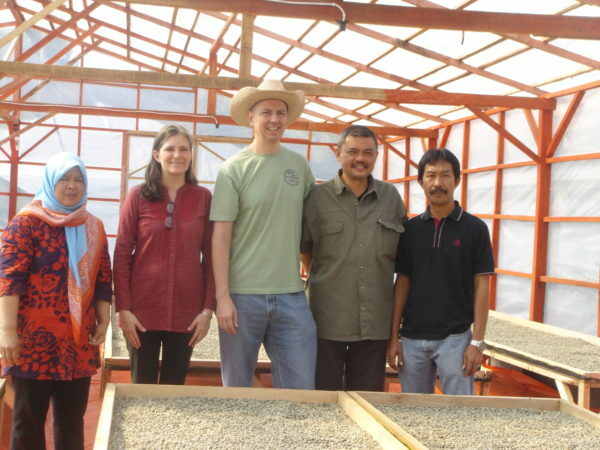 A relationship with Santiang Exports has allowed the group of farmers in the Kerinci Valley to improve their production from 20 bags to container volumes, as well as quality, by purchasing their own hulling machine, adding ceramic fermentation tanks, larger patios, more raised beds, drying canopies and an Oliver gravity sorting table. Today, the number of farmers involved in the group has grown to over 600 smallholder farmers. Most of these farms are less than a couple of acres and most have been mapped by gps. 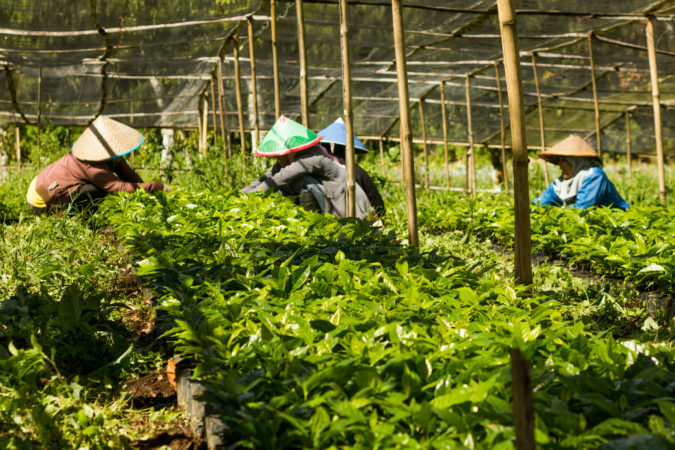 The conservation effort is to focus on coffee grown without encroaching on the national park, and today, the number of trees that they have distributed is now approaching 1 million trees. This plan really is working as more and more households realize that they can earn a better living with Kerinci coffee as opposed to illegal hunting and illegal growing on park lands. 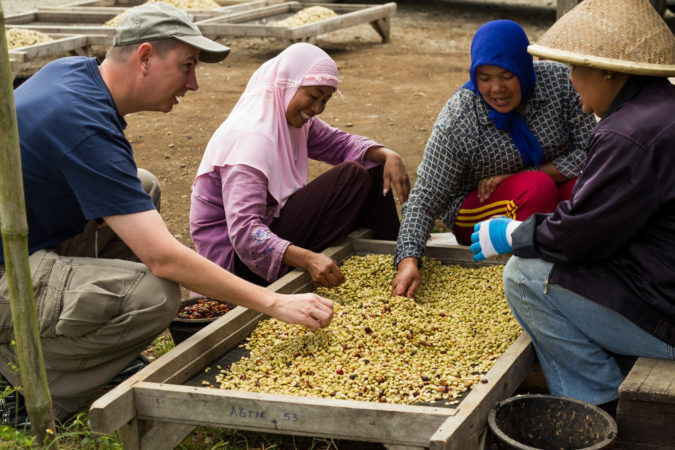 Established in 2005 by Craig Owen, Santiang Exports specializes in Sumatran coffees with a focus on conservation and sustainability. They have relationship with cooperatives who are committed to refining their processes and quality controls. Santiang works diligently with these cooperatives to help make improvements in areas such as equipment such as drying beds, influencing local governments to build better processing facilities, improving quality standards and processing, and motivating farmers to improve quality standards, processing, record-keeping and consistency.